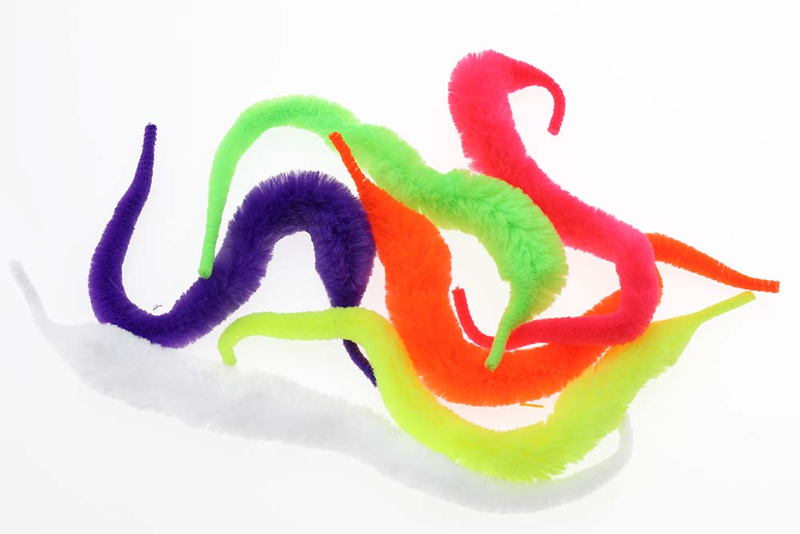 New Mangum's Mini Dragon Tails are 5-6" long with .50" diameter at their midsection. Also have phenomenal action for smaller patterns. 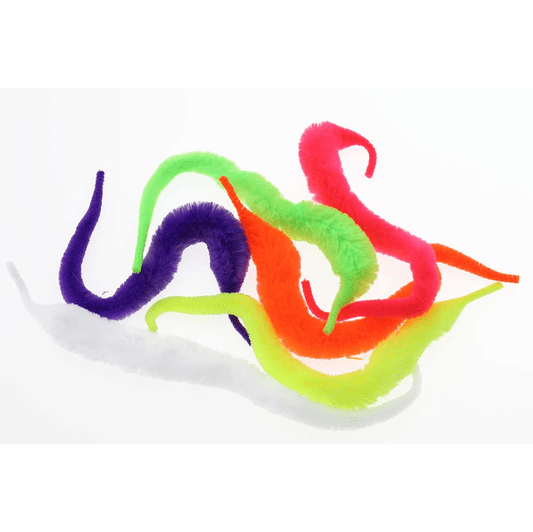 New Mangum's Micro Dragon Tails are 4" long with .40" diameter at their midsection. Also have phenomenal action for smaller patterns. 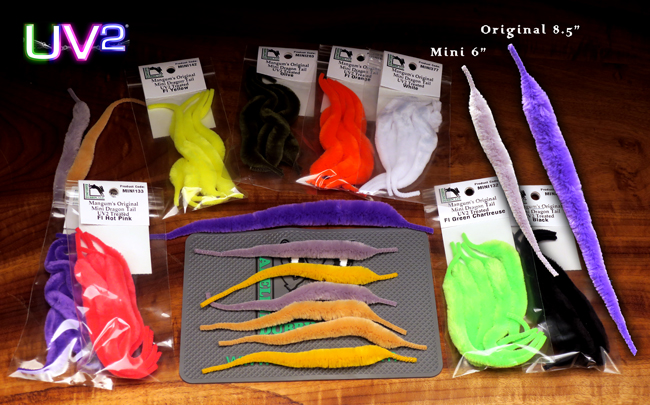 Use this material to tie big patterns for predator fish in freshwater or saltwater environments. 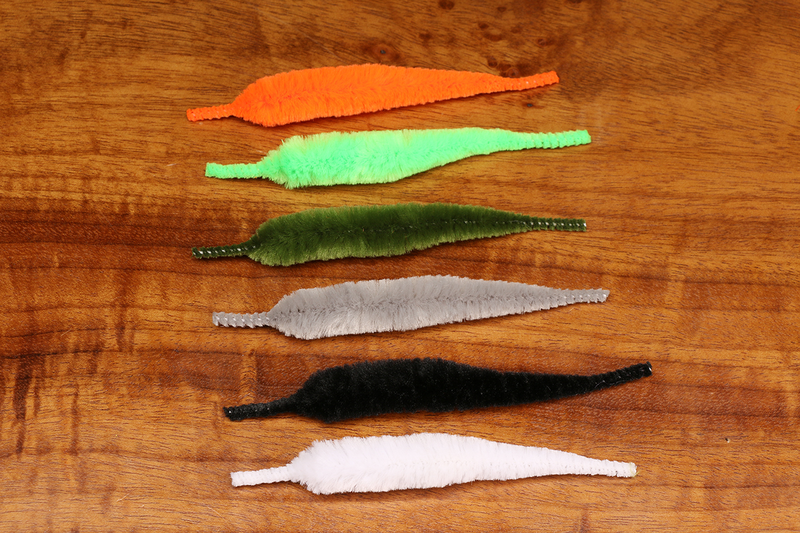 The full 7" length is great for hooks 3/0-5/0, whereas with smaller hooks, we recommend you cut the tail back a bit. You don't want to trim too much though, because you won't get as much action out of the material. Just think of the possibilities for pike, bass, muskie, saltwater fish, and more! 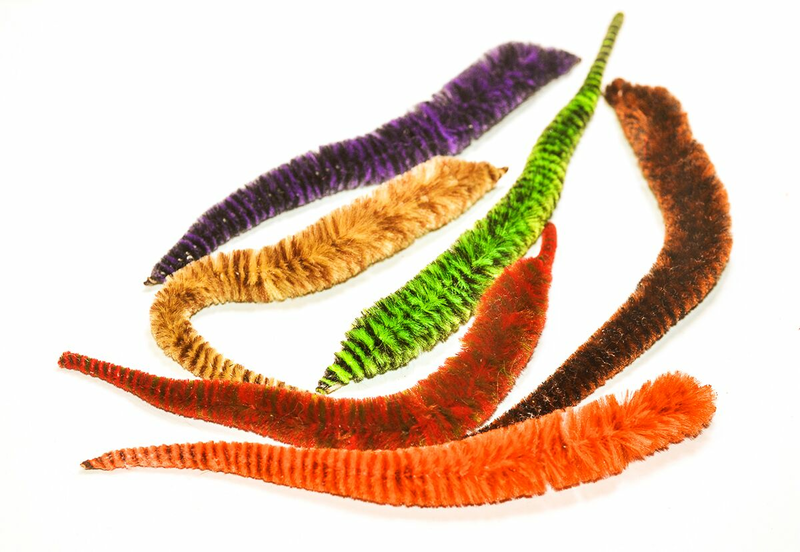 New variegated and micro options as of October 2018 allow you to employ Mangum's UV Dragon Tails into all your streamer patterns. 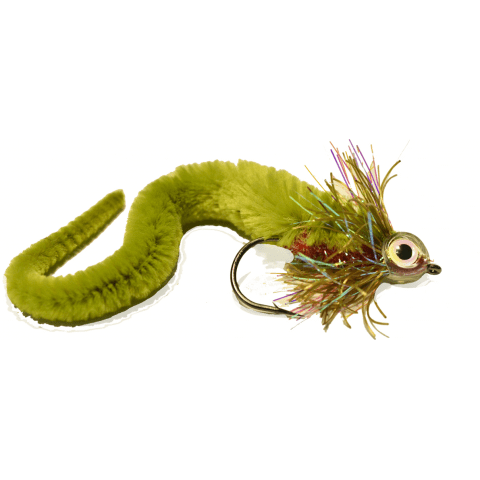 Use mini's and micro's for trout and bass patterns and hang on!